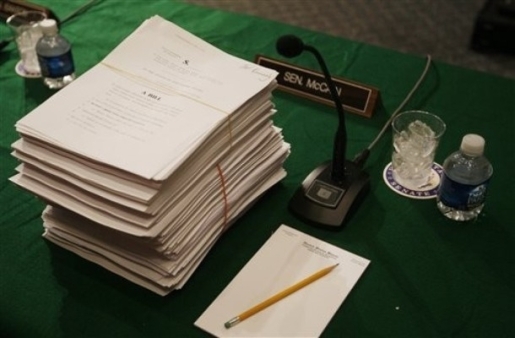 Health Care Reform Passed; Now What? The bill itself passed by the slimmest of margins, and on party lines. The vote to pass was 219-212. with only Democrats voting to pass and a coalition of Republicans and Democrats voting against the sweeping health care reform act. Now Americans are stuck trying to figure out just what the so-called health care reform law means to them. You could ask your congressman, but odds are he didn’t read the thing either. First and foremost, you don’t have to worry about any of these changes going into effect any time soon. The law itself won’t take effect until 2018. Or at least some parts of it won’t, anyway. That said, here’s what the massive new health care bill does: Insurance will be subsidized for a family of four making $88,000 or less. Not having insurance will make you subject to a fine of $250 or 2% of your income. Companies that don’t provide insurance will also be subjected to a fine of $750 per worker. Medicare will be cut by $500 billion. Medicaid will be expanded to cover a family of four making less than $29,000 and Medicaid taxes will increase on families making more than $250,000. If you have a health plan valued at more than $8,500 (or $23,000 for a family of four), prepare to pay taxes on it. The bill will also supposedly save the government $118 billion dollars over the next 10 years. They haven’t added airport health screeners, though.